Delage is responsible for some of the most glamorous French cars of the 1930s. And American Howard Darrin was responsible for some of the most beautiful bodies on said French cars. This Cabriolet by Fernandez & Darrin (Fernandez was the money behind the company, Darrin the talent) is almost more of a targa – the open part of the roof is the purple piece over the driver’s compartment. The D8 S was an upgraded version of the Delage’s large D8. The 4.1-liter straight-eight makes 120 horsepower in “S” form. The body is exquisitely styled right down to the smallest details. In short, it is beautiful. Only two examples of the D8 S were built with this body style. It was sold new in the U.K. and was re-discovered there in the late 1970s, having not been driven since WWII. In 1983, it made its way to the U.S. and was restored in the late 1980s/early 1990s. The original colors (black and red) were replaced with this light purple – or lilac. This is an amazing example of French Art Deco automotive design. Click here for more info and here for more from this sale. 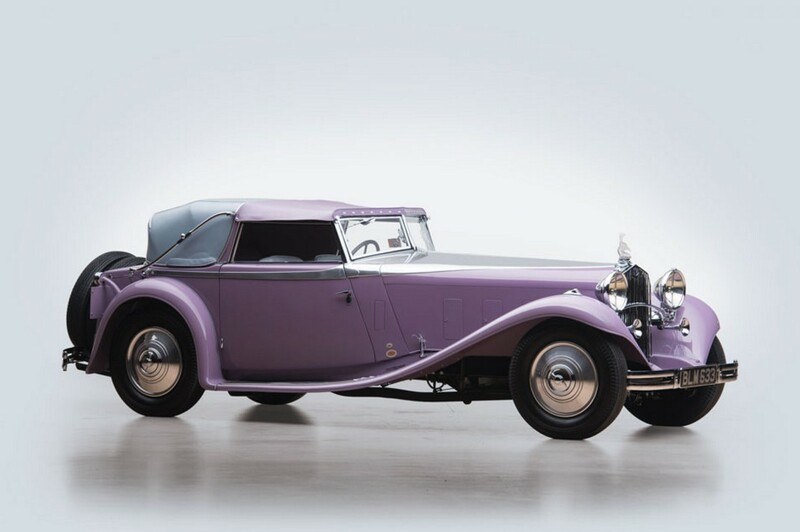 This entry was posted in Uncategorized and tagged 1934, auctions, cabriolet, cars, classic cars, d8 s, delage, fernandez & darrin, rm sothebys by classiccarweekly. Bookmark the permalink.